Let the neighborhood know your store is the best in the franchise. Capitalize on national advertising by coordinating a branded local email campaign. 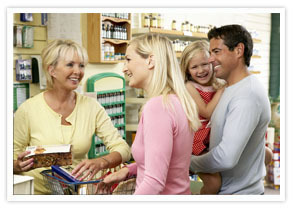 Increase your share of the market by being the local franchisee that communicates most effectively. Customize your promotions with pictures and video. Email Marketing is faster, cheaper, and more effective than traditional mail. 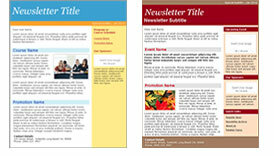 Our Drag and Drop Email Editor helps anyone to create professional newsletters and e-brochures in minutes. It's easy to integrate your own visual content or you can choose from our library. Email Tracking improves the effectiveness of your marketing while fine-tuning your strategy. You can view the results as graphs or download to your favorite office program. We offer over 300 professionally designed html templates featuring newsletters, e-bulletins and brochures in a multitude of styles. Benchmark Email automates your email marketing campaigns. Deliver custom and personalized messages to your customers both on a local and national basis. Your job just got easier!